This week is the very first week of truly hot summer weather! When it comes to the heat –and I’m sure many of you feel the same — I have no problem complaining about the struggle! But when it comes to the fashion, I have nothing but good things to say about summer. This season is one of my favorite times of year. Today I’m sharing my top summer trends of 2017 with you. Woven bags are truly one of my favorite top summer trends. Whether they’re beige or black, woven bags have the unique quality of being both delicate and edgy. Simply put, a basket weave bag is the perfect wake to shake things us in your summer accessory game. I purchased this one on Etsy and it has become an instant fave. Gingham may not be a new trend, but I have a renewed love for the classic pattern this season. For me, gingham is one of those prints that makes my summer looks feel timeless. 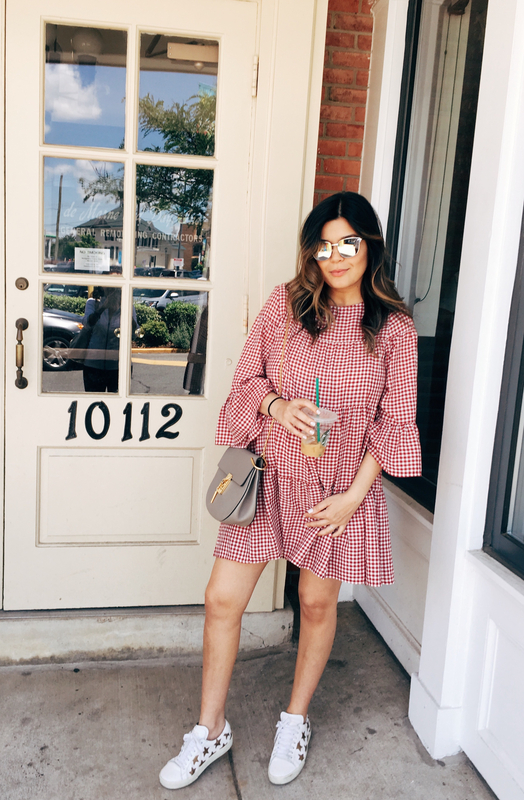 One gingham dress (I have this red gingham one) or top in your wardrobe will make a chic difference in your looks this summer. This one’s easy! Pearl slides are THE shoe of summer, in my humble opinion :) The ones I am wearing also come in a flat version. I also couldn’t resist this pair from Tory Burch. Pearls are the ultimate gemstone, but they’re often forgotten when we think of our daily style. I’m so excited that pearls are having an edgy revitalization this season! 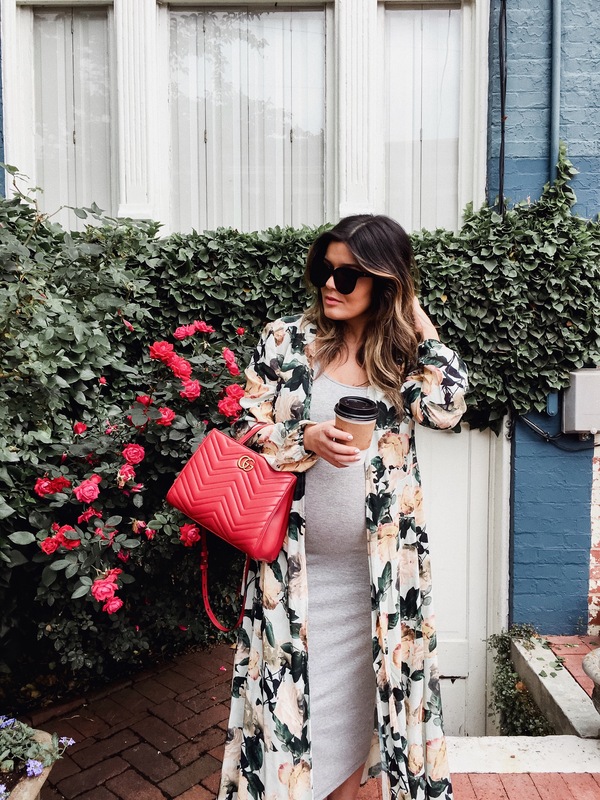 Florals for summer fashion? It may be a cliché, but summer blooms never get old. Floral prints are what we all think of when we think of summer fashion for a reason! Nothing feels more fun and free than a flowy, floral, summer dress or kimono. 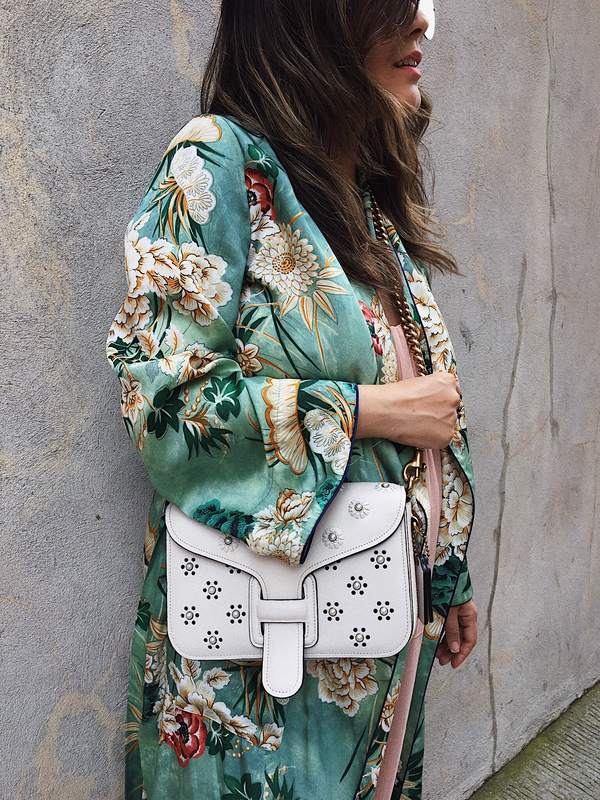 This floral embellished bag from Coach has also been on repeat too! Beat the heat with a little off the shoulder action. I’ve invested in a few off the shoulder dresses including this one and this one. Summer is the toughest season for your makeup game, and that gives you all the more reason to find the absolute perfect beauty routine. 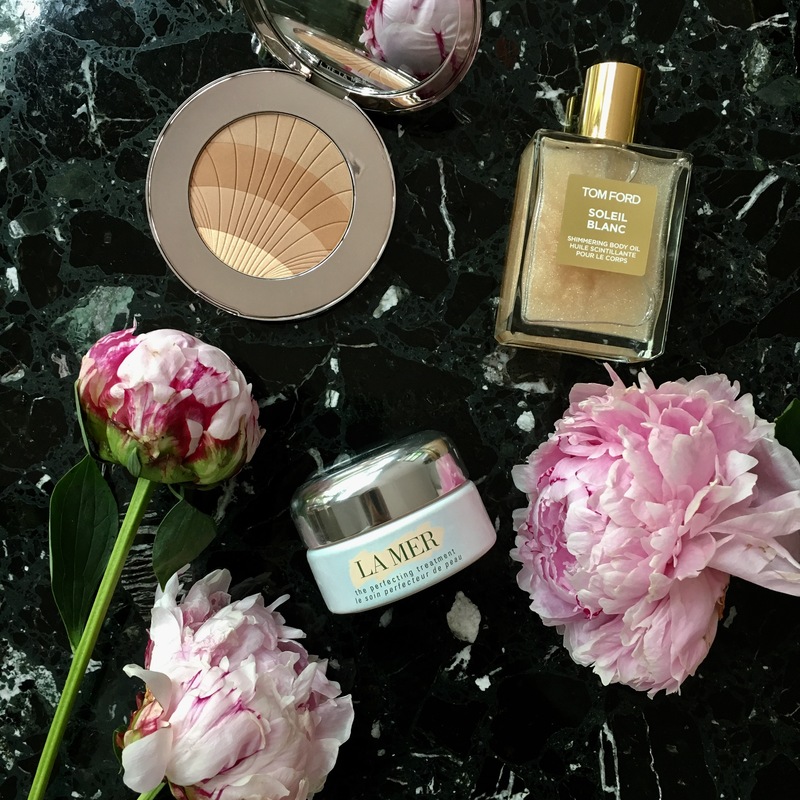 Bronzer (love this one from La Mer) and body oil (from Tom Ford) should is a hallmark of my daily look in the summer season. Nothing creates that summertime glow better! I love this trend round-up and my favorite one is the gingham trend! Loving that darling dress on you, too! The Tom Ford oil is everything! It smells SO good! love the pearl slider trend and of course floral! Love all your outfits! Im currently very much obsessed with gingham, pearls and floral trends, they are so gorgeous!! I am really loving the trends this season. I have already picked up some many different floral pieces and can’t wait to add some pearls. Love all of this year’s summer trends! Lovely post, love each and every look! These are all super fun trends! I want some pearl slides! I’m all about the gingham this summer! All of these trends are too cute, but the pearl slides are my favorite! Those pearl shoes are adorable!! I have so been wanting a pair of pearl slides. Need to take the plunge! These outfits are seriously the cutest! I’m loving the pearl slides.